If you are an experienced baccarat player already, this information will not be completely new for you because all baccarat tips had been learnt and remembered by you a long time ago. Anyway, you must agree that such information can really help a player who makes his/her first steps in baccarat, can not it? Moreover, the list of baccarat tips is not very long and difficult to follow; skillful gamblers had already checked all of them and had a chance to make sure of the fact they really worked. You should determine the exact amount of money you are ready to spend for a game and NEVER exceed this sum! Never play for money you may need for some serious purposes: food, apartment, bills etc. When you come to a casino, take ONLY this "extra" money with you in order not to have a temptation to spend everything you have for living. 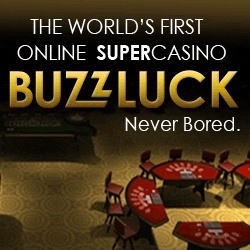 It is possible to find many different strategies which promise you big winnings at once you begin to use them. Remember the following fact: baccarat, as well as live and online slots, for instance, is the game of luck, not skills; and any strategy can not help you to win for sure, so do not spend your money on buying such strategies. The best variant to bet on in baccarat is the bet on Player option because your payouts here will be 1:1 in a case of winning and you will not have to pay practically anything as a commission. As we know, a commission for Banker is 5%. Statistics says that usually there are very small chances for you to win if you bet on Tie: Tie wins very and very seldom; moreover, even if you win when bet on Tie, you will have to pay enormous commission to a casino - 14,4%. So, think twice before making a bet on this option. The well-known and checked fact is that the fewer decks of cards are used for playing baccarat - the bigger your chances for winning are; so, the best tip for you here is to choose the baccarat table where baccarat is played with fewer decks (usually, it is played by 8 decks) of cards. Be sure that you perfectly know all rules and secrets of baccarat before coming to a casino and making your bet; it would be also nice to practice free baccarat a bit in order to understand the main principles of the game. You can do that at every online casino: all of them are glad to provide players both with free baccarat and playing this game for real money. If you have lost - run! 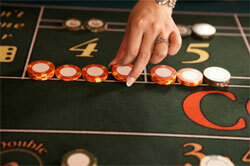 Do not try to play more in order to return your lost money: the big chances are you will lose everything you have. It is just not your lucky day: you can come back to a casino tomorrow and you will definitely win! Alcohol is not the best helper of a gambler indeed! You lose your attention and concentration, and it is not good for playing casino games, even if it is such a game of luck as baccarat: you can make the wrong solution as for an option to bet on.